First BMX memory would have to be going to the track for the first time with my buddy Ryan Wightman to try the sport out. From there, we loved it and would travel everywhere for the NBL circuit back in the day. My first BMX track was the legendary Dayton Indoor BMX. So many memories are filled into that place and I wouldn’t want my roots to be from anywhere else. With us making the move out to The Sunshine State two years ago, my home track is now Oldsmar BMX. Now with an eight-meter hill in my backyard, the training has never been better. Aren’t we supposed to keep that top secret? Ha. A lot goes into it on a daily basis, but anything that has to do with being on the bike is definitely the best training. Favorite type of riding when you’re not at the track? Although I don’t get the opportunity to ride them much because of the area I live in, trails are always a blast. I’d have to say Ohio Dreams has to be one of my favorite places to joy ride off the race track. Riding for DK was my dream growing up and since the age of eight I’ve never been on a different bike. The people involved are great, I have the best teammates I could ever ask for and it’s always a good vibe when everyone is together. I wouldn’t trade it for the world. DK XXL Professional frame, ODI grips, Box brakes/lever/cable, DK Eighty-Six bars, Profile Acoustic racing stem, Box headset, Box seat, 44 BMX seat clamp, Promax cranks, Rennen chainring, Box chainring bolts, Box bottom bracket, HT SX pedals, Box X5 fork, KMC chain, Box rims, Ti spokes, Box 20mm front hub, Oynx rear hub, Box plate, Gatenine number plate insert, and Maxxis Torch tires. This past year I had my goal of being on the USA Cycling Junior Men Team for Worlds and I came up just short of that and was the alternate. Next year I plan on punching my ticket to Zolder and winning the National Champs to claim the stars and bars jersey. 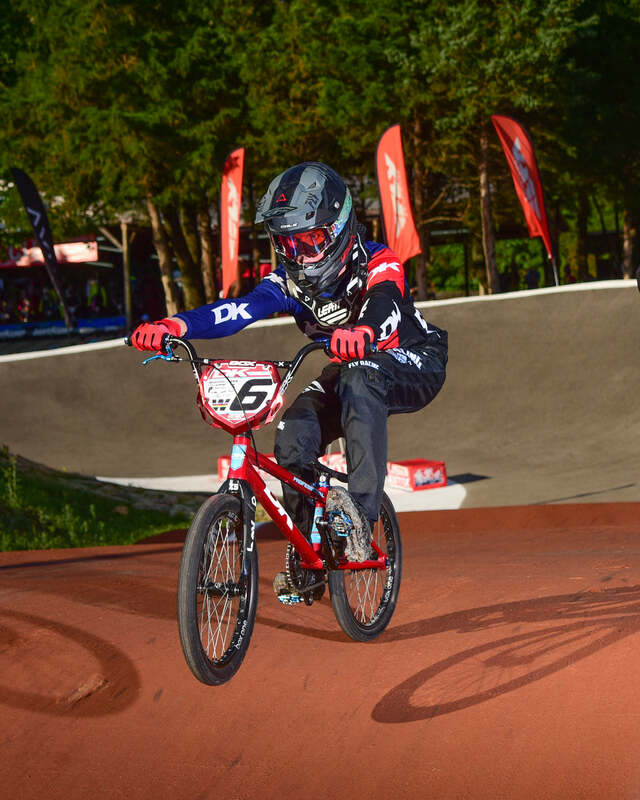 After that, I plan on racing 17-20 men for the next year on the USA BMX circuit then turning professional the next year.